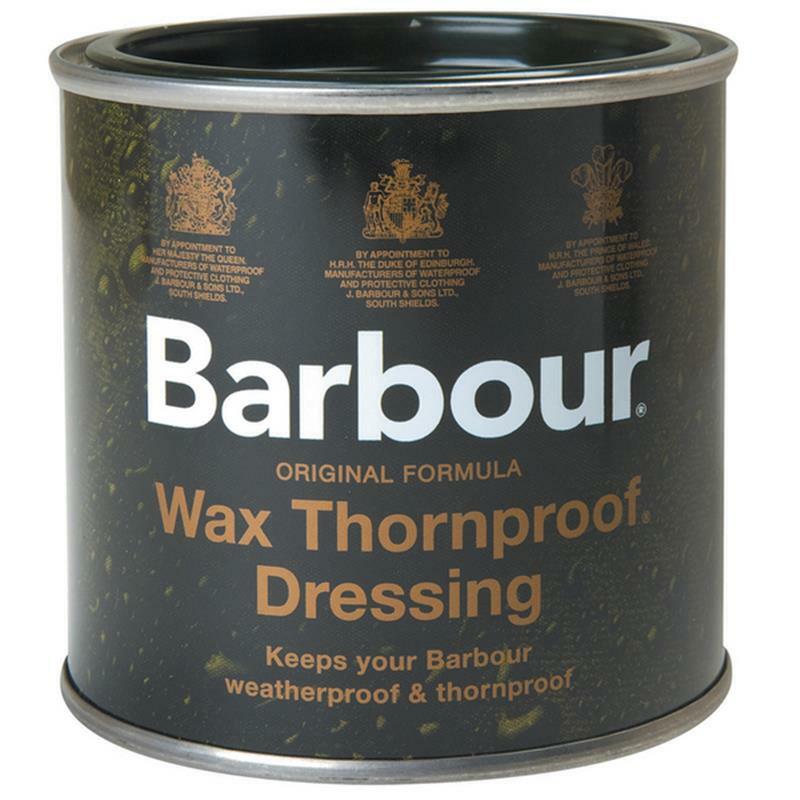 Barbour Wax Thornproof Dressing - 50ml. Barbour wax dressing for re-waxing barbour wax jackets. Keeps your Barbour weatherproof and thornproof.